Intermountain Pest Management has been an established company in the Boise Valley area for over 10 years. We've got 39 years experience with professional pest control services for your home and office. Our success has been earned through the quality service we guarantee all our clients. We never cut corners when it comes to doing the job right, at the first time of asking. Our priorities are reliability, professionalism and trustworthiness. We specialize in residential pest removal, commercial pest management, termite control and preventative treatment. Our customers are the reason we exist. We will strive to be a leader in the pest control industry by providing the best in professional quality, environmentally sound pest management services: that consistently exceed the expectations of our customers. 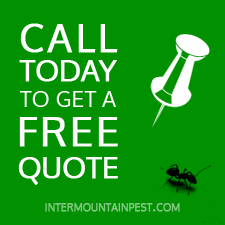 Intermountain Pest Management will be acknowledged as the absolute model in the industry. Our goal is to continually develop new ways to innovate our service delivery and to never yield our principle purpose of ensuring the customer receives friendly, courteous, awesome service every single day. This is the Intermountain Pest Management way and we are forever committed to it. Protecting the health and safety of our customers. Responsible environmental stewardship. Uncompromising commitment to excellent customer service. Dedication to the highest ethical behavior. Intermountain Pest Management is owned and operated by Michael and Laura Walech. Michael has an excellent track record in the pest control industry and he forged his skills for 36 years with the US Air Force as a civilian 'Pest Management Specialist'. Intermountain Pest Management strives to be recognized as the leading pest control company in Mid to Southwest Idaho – and to set the benchmark for quality service and customer satisfaction. Laura Walech was a Front-End Manager and Customer Service Rep for a major grocery chain and owned/operated a child care business before taking her current position with Intermountain Pest. Intermountain Pest Management has enjoyed an average annual growth rate in excess of 30% and giving back to our community has always been a priority as well. Thank you for visiting our website! Call today to experience the great customer service we're known for!